The next start date is: June 10, 2019, for the Summer semester. The graduate admissions committee accepts applications on a rolling basis. The next deadline for submitting your application for Summer 2019 is May 25, 2019. The online Master of Science in Applied Statistics program provides students with three opportunities to begin the program each year: Fall, Spring and Summer. For our annual academic calendar and more detailed application information, please contact an Admissions Counselor at onlinestats@udel.edu. UD offers a bridge course to prepare students who require a more sufficient background in statistics. These students can take STAT 608 (Statistical Research Methods) online any semester prior to beginning the program. Credits for STAT 608 do not count toward the degree’s 30-credit requirement. Students who require math courses can be admitted into the online M.S. in Applied Statistics program on a conditional basis, but must complete required courses to begin the program. A 1-credit math review course is available to students who meet the program’s admissions requirement for math. Students may find this refresher course beneficial and can take it for credit toward the degree as they begin the program. Note: Candidates who meet stated minimum academic requirements are not guaranteed admission, and candidates who do not meet these requirements may be admitted if they offer other related strengths. Unofficial transcripts from all higher educational institutions that you attended, including those from which you graduated, earned 12 or more credit hours, studied for at least a semester, or took classes related to this degree program. Applicants must provide a list of these institutions and upload the transcripts with the application. DO NOT mail official transcripts during the application stage. If you are accepted into the program, you will receive instructions on how and when you must submit official transcripts to UD. Official GRE score report from a test taken within that past five years. Ideally, students will have achieved a minimum score of 1050 in quantitative math and verbal on the traditional GRE and a minimal combined score of 300 on quantitative reasoning and verbal on the new GRE. We recommend uploading unofficial copies of tests scores with your application. Contact the Education Testing Service (ETS) to send official scores directly to UD. The UD institutional ETS code is 5811. Essay that outlines your educational plans and career goals in relation to this degree program. 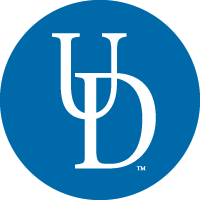 It may include information about areas that are of special interest to you and why UD’s online MS in Applied Statistics is a good fit for you. The essay is an integral part of your application that we closely review. We encourage applicants to take the time to develop and write a thoughtful and thorough statement. Supplemental document: Table that lists and describes all courses you have taken in calculus and linear algebra and relevant statistics courses. These courses include differential and integral calculus through multivariate calculus including multiple integrals, partial derivatives and change of variables for multiple integrals, as well as linear algebra including matrix algebra, determinants, systems of linear equations, inverses and eigenvalues and eigenvectors for symmetric matrices. $75 nonrefundable application fee: Credit card payment is accepted with the online application. Checks must be made payable to the University of Delaware. Applications received without the fee will not be processed.